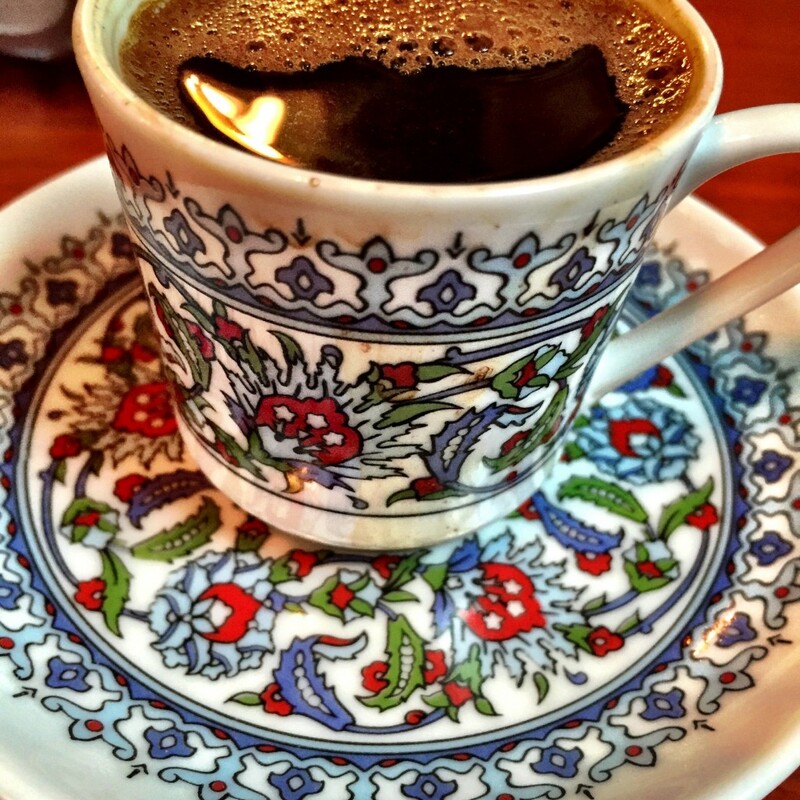 For lunch today, HB and I went to Yayla Bistro. Some of the girls at work had been talking about it, and we finally thought to go. I haven’t done a restaurant review in a while on here. I have been busy with the little one, haven’t been out as much as we used to, and haven’t been passionate about a restaurant in a while. 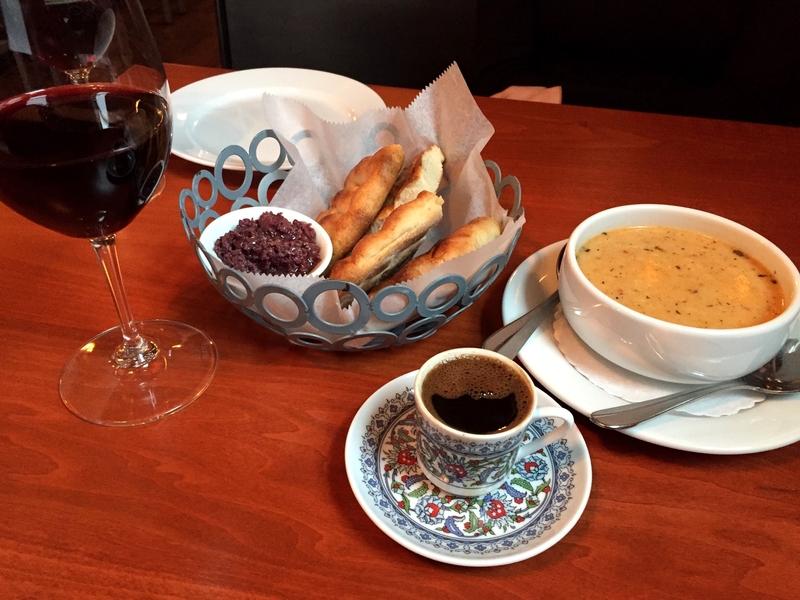 Yayla Bistro has broken the slump. 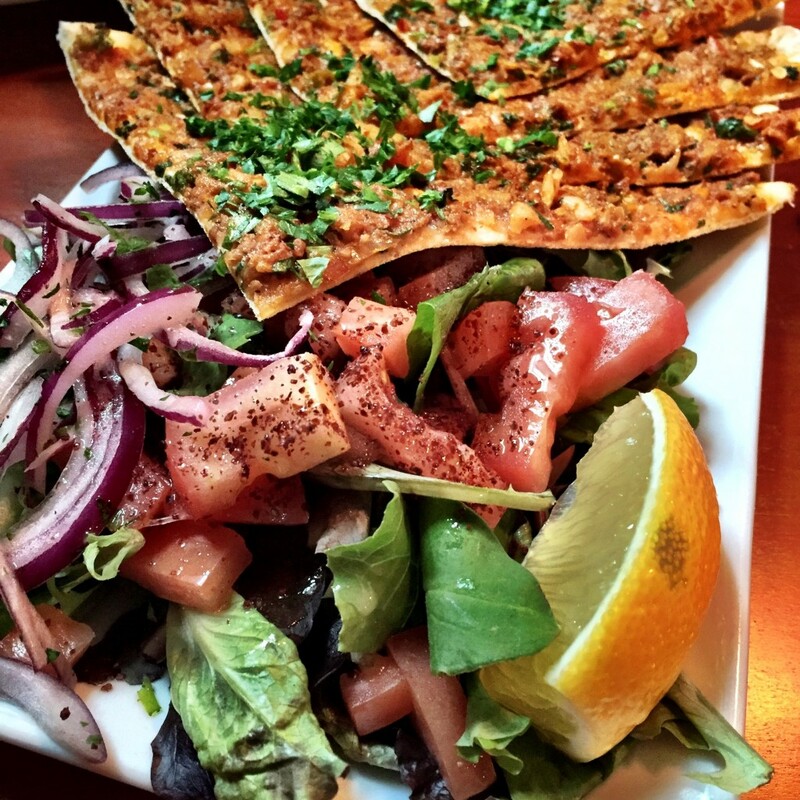 When I think of Mediterranean food, I think of Greek. 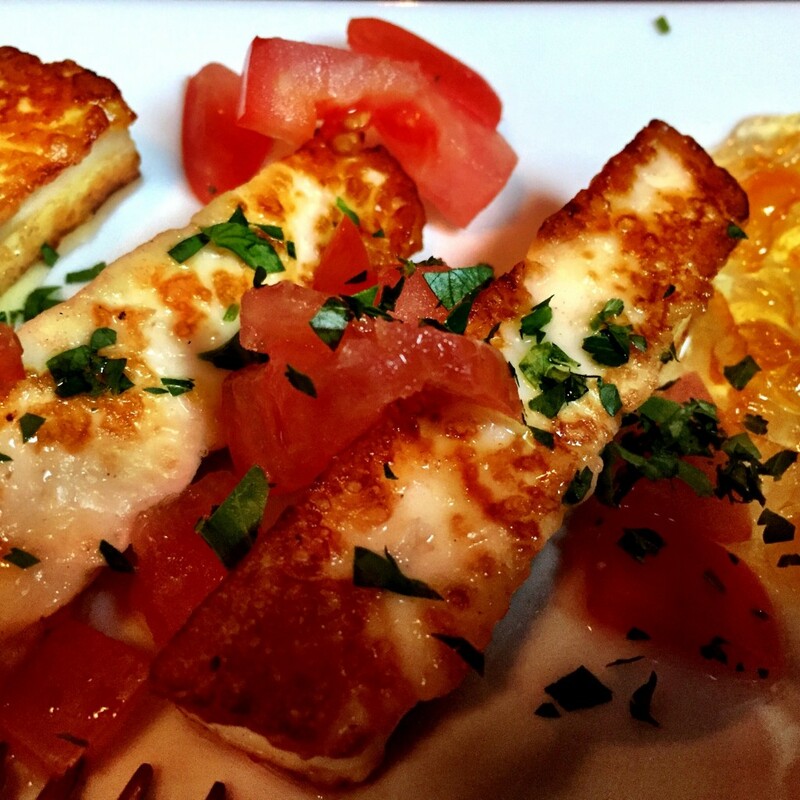 I’ve been to Greece, and I can name my top three Greek restaurants. Turkish food on the other hand, is more unknown to me. I can, however, now saw that I have a favorite Turkish restaurant. It was cold and rainy today. 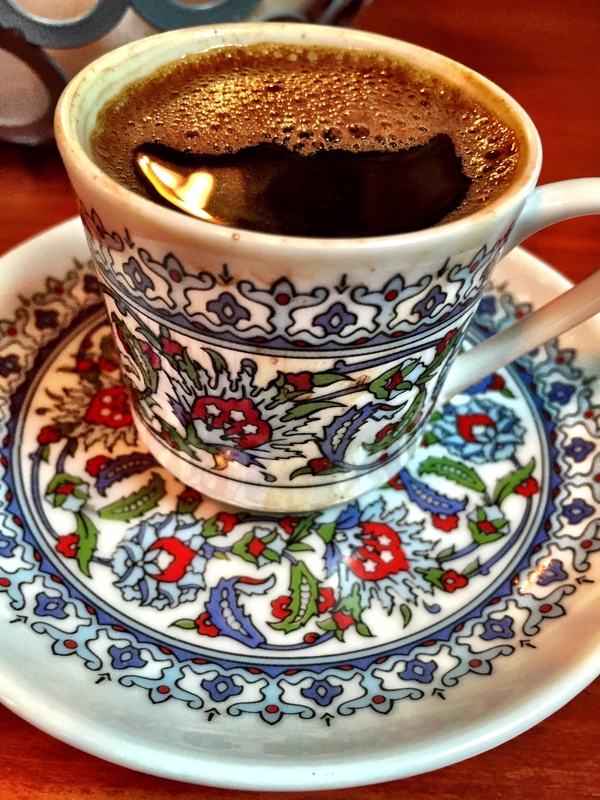 The Turkish coffee, sweetened to you liking, definitely warmed me up and hit the spot. My glass of Turkish wine was different, a bit thin perhaps, but delicious and infinitely drinkable. HB’s glass was even better (though she liked mine more). 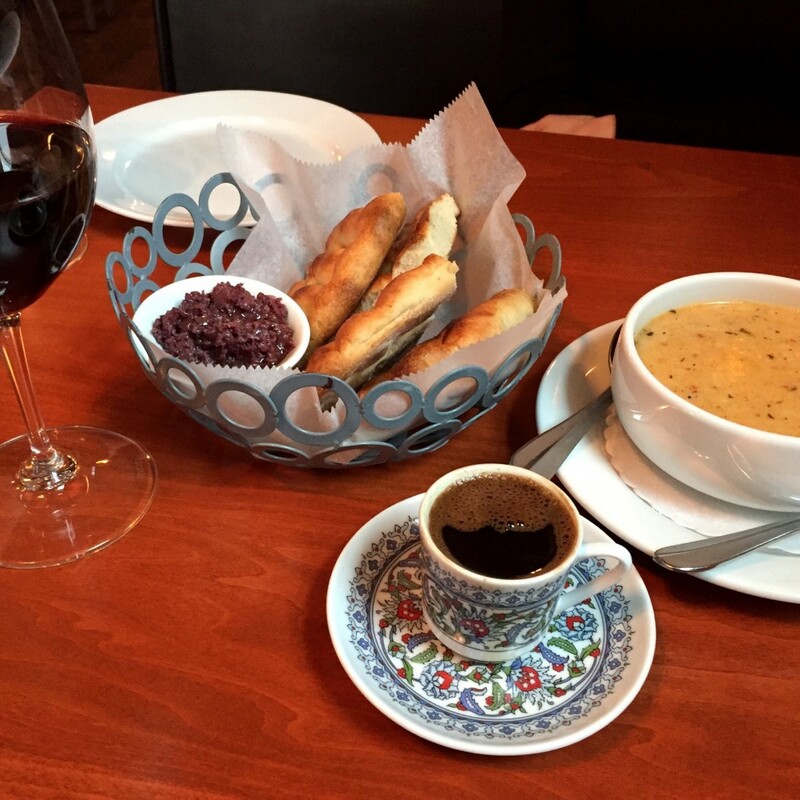 The Yayla soup, a special and recommended by our waiter, was amazing. Words literally fail me; I don’t know how to describe it. The complimentary bread and olive tapenade were great. The mezzes are when I started to get blown away. 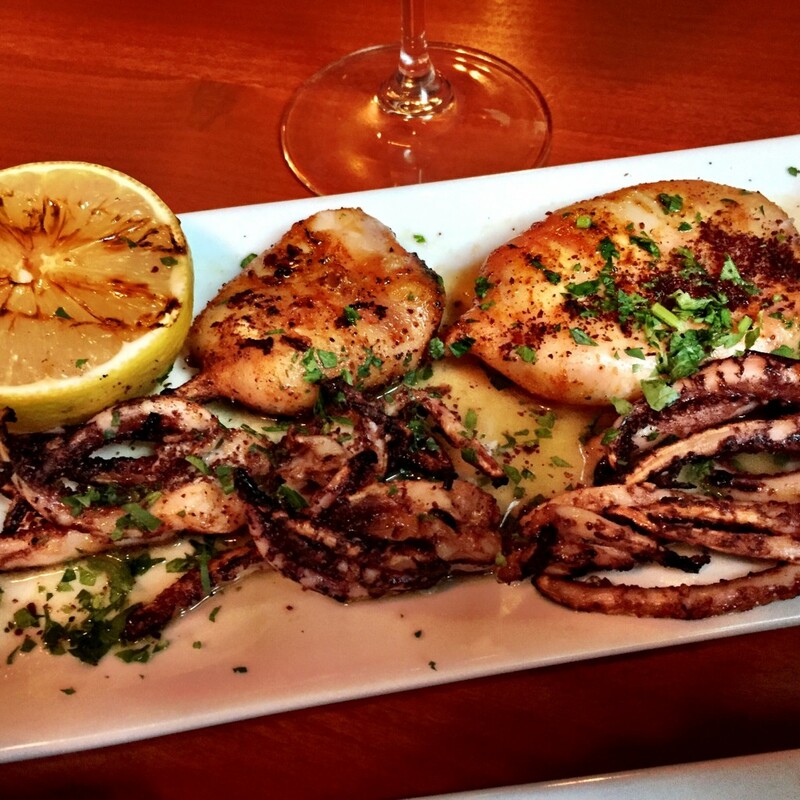 The grilled calamari was perfectly cooked, charred, and well-seasoned. 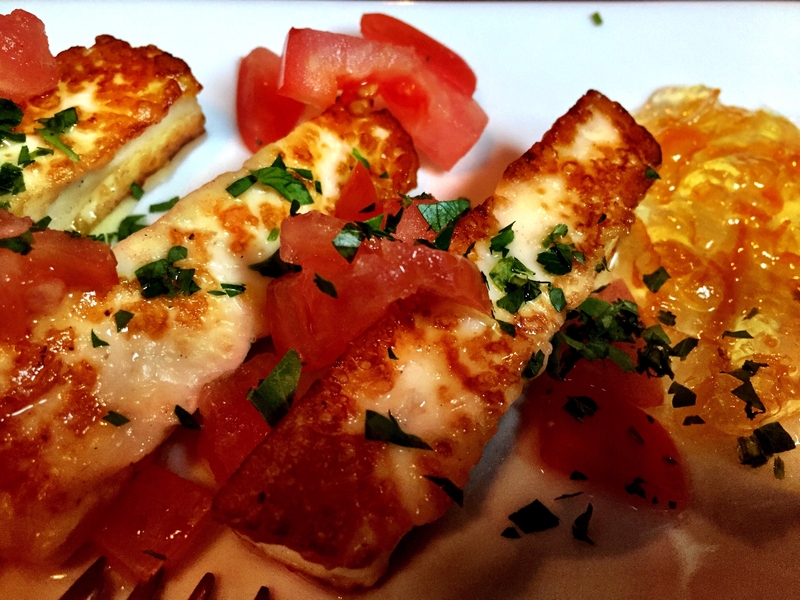 The Halloumi cheese was surprisingly good. The orange marmalade was a better than expected accompaniment, and the cheese had a curd-like squeakiness. 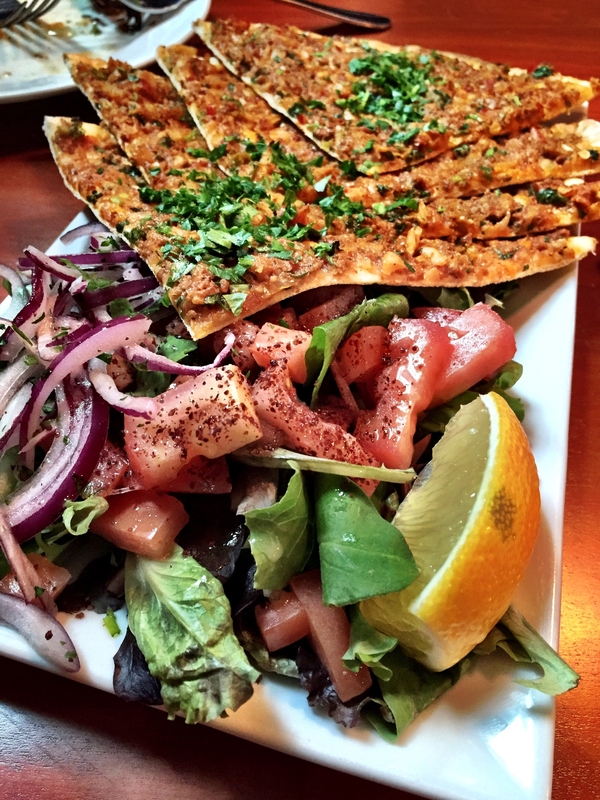 The Lahmacun (flatbread) was excellent as well. 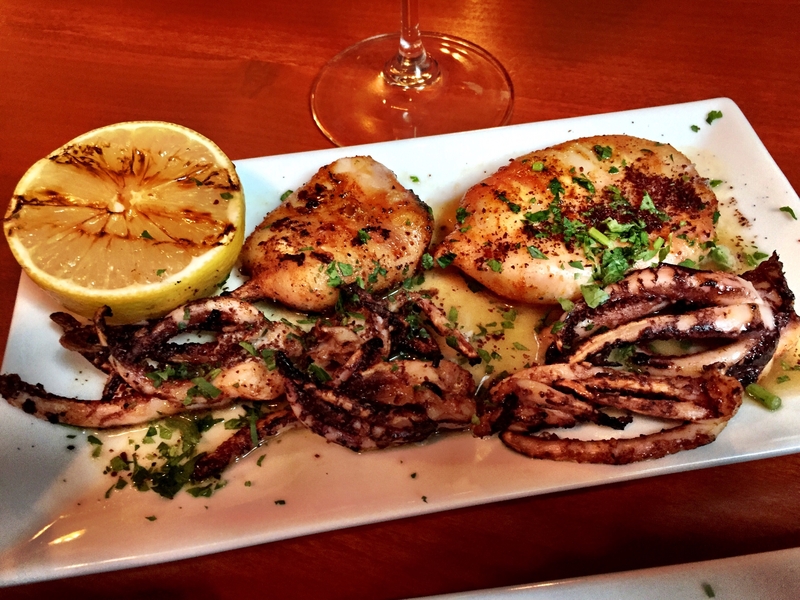 Next time, I’ll be hard pressed not to order the calamari and halloumi, but I’m excited to try a new entree. As good as the food was, I think the service was even better. I’m kicking myself for not getting our waiter’s name. He was very knowledgable and passionate about the wine list, had great suggestions on the menu, and answered our questions about the food and customs without judgement. He even brought me a new coffee dish (mine had some coffee spilled on it) when he saw me taking pictures. We’ll definitely be back. Probably for half-priced wine Monday, or live entertainment on Thursday.